A distressed and vomiting dog was rescued from a car in 35C heat after beach-goers smashed the window with a hammer. Concerned passers-by noticed the dog heavily panting inside the car as temperatures soared at Frensham Ponds in Surrey on Sunday. 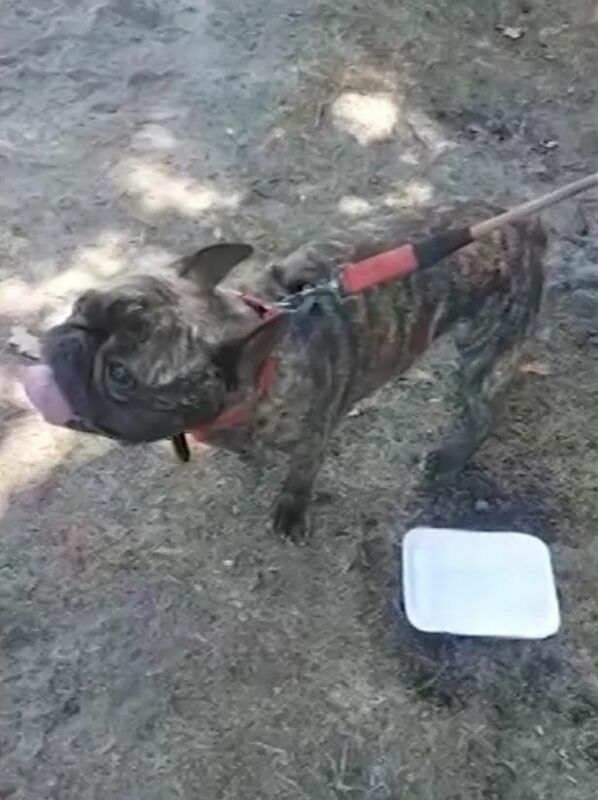 Rescuers desperately attempted to hydrate the French bulldog by feeding it sips of water through tiny gaps in the window, reports Surrey Live . Hollie Marie Evans, one of the group, said a small crowd of people decided to then smash the windows and free the pup. They used a hammer to break in and retrieve the dog, which was handed over to the park rangers’ office. It wasn’t until four hours after the dog had been discovered that the owner returned, only to express more concern for the damage his car had sustained than the welfare of his pet, Hollie said. At around 12.20pm rangers were alerted by a member of the public to a dog that was left in a hot car in the car park at Frensham Great Pond in Farnham. The concerned group immediately began to pass water through the windows, which had been left ajar. A park ranger called the police and tried to find the owner of the dog but was unable to do so. The condition of the dog began to worsen and around 40 minutes later he began to vomit in the car as thermometers in nearby vehicles showed the temperature to be above 35°C, Hollie said. 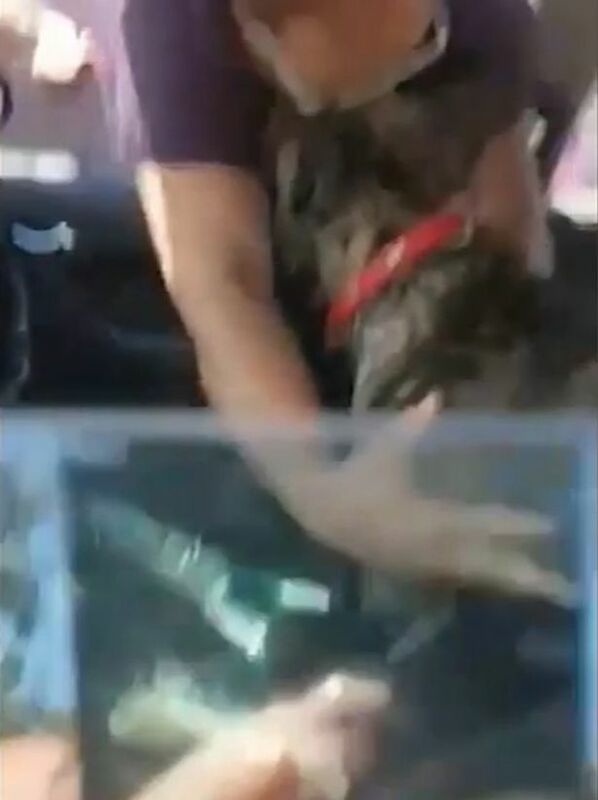 A video captured by Hollie shows the Frenchy panting and fidgeting in the car. Hollie said: “The temperature was increasing and the dog was showing signs of distress, and he started being sick and his breathing became erratic. Hollie and the group remained in the car park until the dog owner returned, four hours later. In the footage, the owner appears confused as to why Hollie and the other people were getting involved and even appears to dance and wave towards the camera during the confrontation. Hollie said: “We waited for just over four hours in total for the owners to return. They weren’t remotely interested in the dog’s welfare and were more concerned about the broken window of the car. 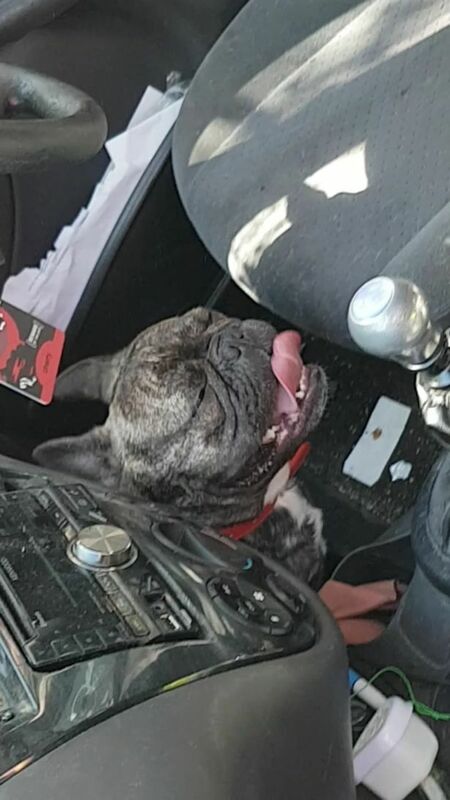 The ranger, on the advice of the police, handed the dog back to the owner and explained the dangers of leaving dogs in cars on hot days.